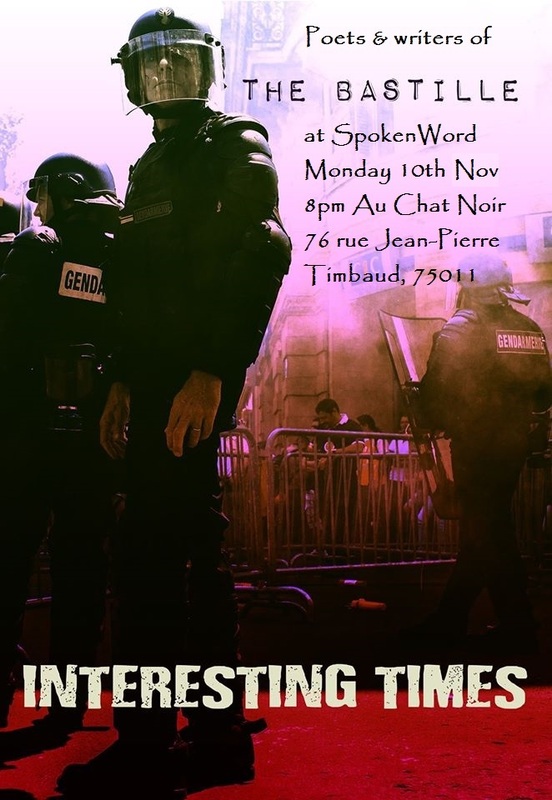 Monday 10th November’s SpokenWord is different – it’s the relaunch of our magazine THE BASTILLE – Interesting Times. First 2 rounds will be some of the amazing stuff that people contributed to it, read by the poets & writers themselves. Third round is open mic. This entry was posted in THE BASTILLE and tagged chat noir, literary magazine. Bookmark the permalink.